Ellie actually tagged me last month but I didn't want to post it in the middle of my blog renovation and end up messing everything up so now it is all done and I'm just sat here bored to bits I thought I would make a start on it now. 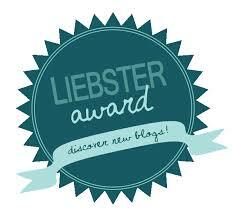 The Liebster Award is a tag type award for bloggers with less than 200 followers/ subscribers. The word 'Liebster' is actually a German word meaning dearest/ favourite/ kindest/ sweetest ( how cute!). This tag is created to celebrate and spread the word about smaller bloggers, encouraging them to carry on with their work and acknowledge them as gifted bloggers. 4- Tag 11 people, you can not re-tag people! 3- I have the biggest girl crush on Selena Gomez, I love her so much and I'm finally seeing her on September 7th! 7- I make wishes on everything, candles, stars, 11:11, dandelions, eyelashes. 8- I have always dreamt of visiting New York and I am so happy that my wonderful father is taking me this Christmas! 1.) What is your favourite subject at school? 2.) 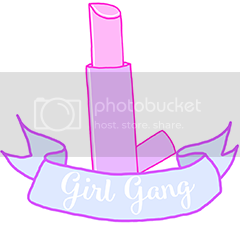 What is your favourite brand of lipstick and why? 3.) If you could create your own perfume/fragrance, what would it smell like? 4.) What has been your favourite clothing purchase ever? 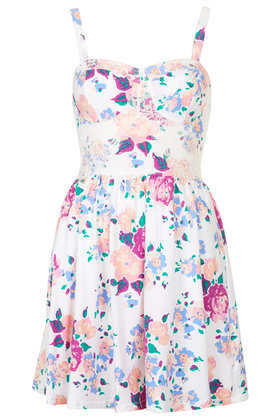 - Probably my new dress from Topshop, its super girly and flowy and can be dressed down as well as dressed up. 5.) Who is your favourite musician/singer? 6.) What’s your favourite food? America and buy all the different types you can get over there! 7.) Do you prefer flats or heels and why? -Flats, I am very much a function over fashion girl, I love wearing heels for special occasions such as weddings but I can only walk in them for a few hours before my feet hurt so I prefer to wear flats on a day to day basis. 8.) What is your tip for someone starting a blog? 9.) What is one electronic product that you could not live without? - Probably my phone, it makes it so easy to do everything. I can talk to my friends and family, listen to music take photos and access the Internet and I can take it everywhere. 10.) What is your favourite brand of hair product and why? and they have such a wide range of products which can transform my hair in seconds. 11.) What song most describes your life? I really have no idea about this one hmm, probably Kelly Clarkson 'Breakaway' the lyrics are beautiful and I feel its all about doing what you want to do and not letting anyone stop you. Now its my time to tag people! 2- If you could live in any other decade what would it be and why? 3- If you could travel anywhere in the world, where would you go and why? 4- What beauty product could you not live without? 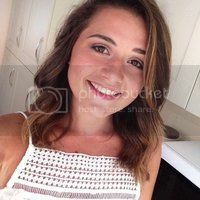 6- What is your go to hairstyle? 7- What is your favourite book ever? 8- If you could only watch one film for the rest of your life what would it be? 9-What is one talent you wish you had? 10- What if the top thing on your bucket list? 11- What do you think is the key to a happy life?